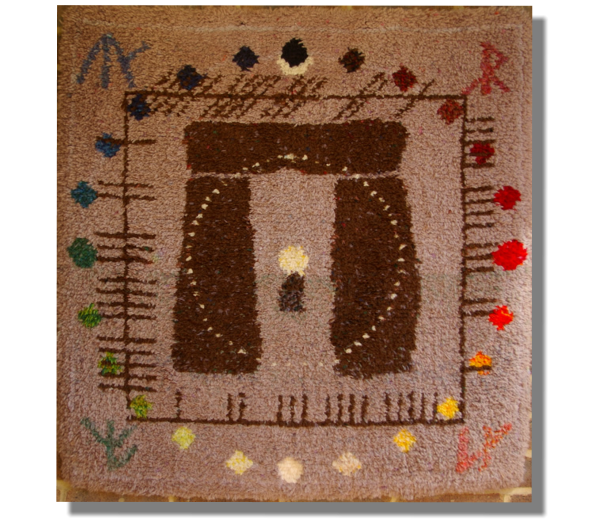 The Ogham Stonehenge Rug - with year cycle colours © Jon Appleton 2010 This is a more recent extension of the Ogham, cycle of the year rug. A circle of 24 coloured discs has been added with the colours running from Black at the top, representing midnight at midwinter, through Red in the East on the right hand side. Which is dawn on the Spring equinox. White in the south at the bottom, midday midsummer. Greeny/blue in the west and left hand side for the Autumn equinox and Lammas. Then back through the Autumn to the dark days of winter. Combined Koelbren signs are in the corners to mark the cross quarter day festivals. The circle of coloured discs intersects the Ogham square as the sacred geometric figure of the squared circle. 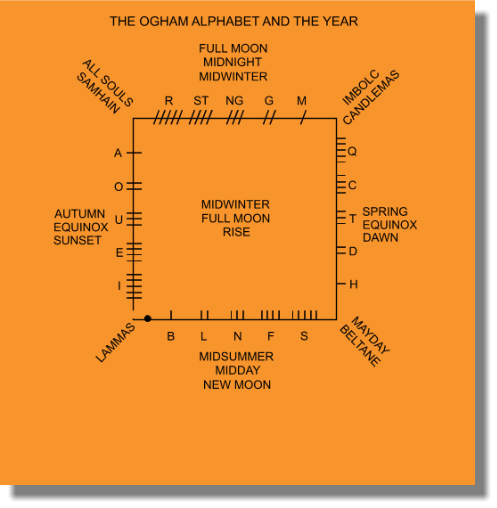 The year, the festivals, Ogham and the wheel of colour are all integrated here. Click on the rugs below to find out more about them.